Gala variety apples quickly followed the Bartlett pear harvest this season, ahead of historic start dates. 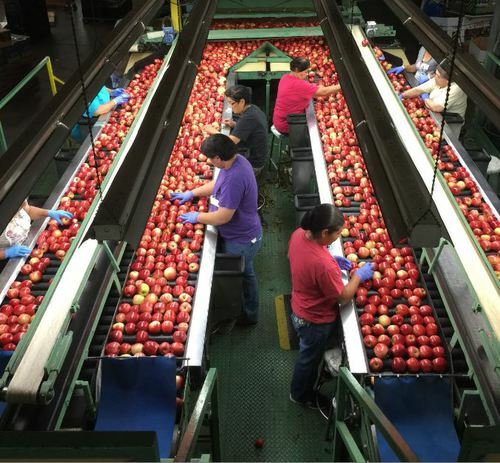 Both of these fruits are being packed with excitement at Borton Fruit’s Yakima facilities. 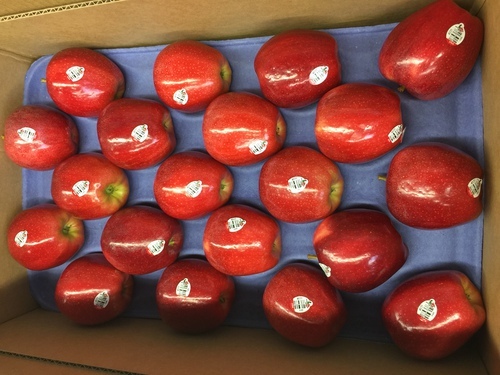 Borton Fruit’s crop this year is looking to be another healthy harvest with potential for a record volume of Honeycrisp Apples. 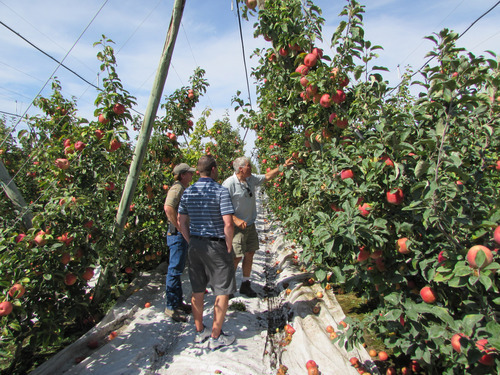 John & Bill Borton (cousins & owners of Borton Fruit) spotted the Honeycrisp back in the late 1990’s and began planting the variety as a staple-mix in our growing program. Today, Borton Fruit is still one of the largest growers of Honeycrisp in the USA, proudly cultivating some of the most mature orchards in the state. 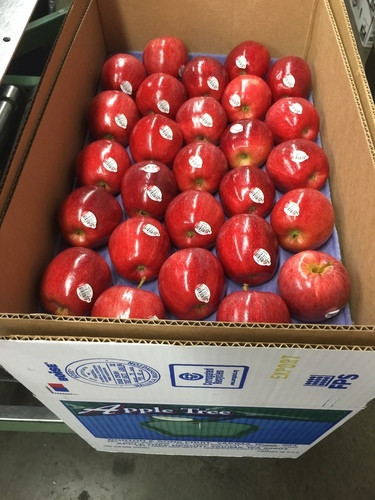 Borton Fruit will be picking the consumer-hunted Honeycrisp this weekend and are scheduled to begin packing this variety next week! 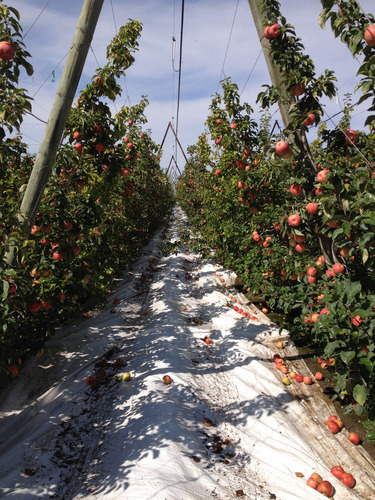 Borton Fruit has lead the industry with our orchard design of the high-density v-trellis plantings which are well equipped to combat the high heat we have experienced this past growing cycle. 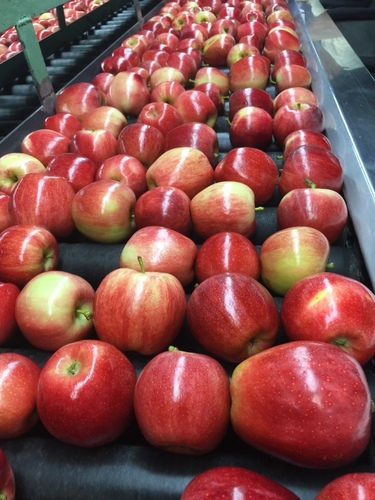 As an integral part of Borton’s planting approach the installment of over-head cooling systems help to regulate the temperature of the apples and ensures a consistent quality eating experience. However water availability is definitely on the mind of the grower. This fall and winter the farmer’s eyes will be watching the cascade mountain range to hopefully see a more normal level of snow-pack accumulate. If the Pacific Northwest doesn’t receive it’s historically expected volume of precipitation in the form of snow (not rain, like last winter), the state’s $10Billion in agricultural production will defiantly be looking for new tools to combat drought stimulated water-restrictions and constraints. Stay tuned for more 2015 Apple & Pear Crop updates from Borton Fruit!